I'm following a tutorial on udemy. In the tutorial he is using eclipse. But i'm following the course with intellij. Every thing works fine but one thing i keep noticing is that when he runs the servlets or jsp pages it is always shows the project name before the servlet(http://localhost:8080/myapp/index.jsp). But when i create an web application on intellij it just shows http://localhost:8080/index.jsp. So the question is how can get the project name before the /index.jsp. You can enter your application URL in the 'Edit Connfiguration' of your tomcat server. 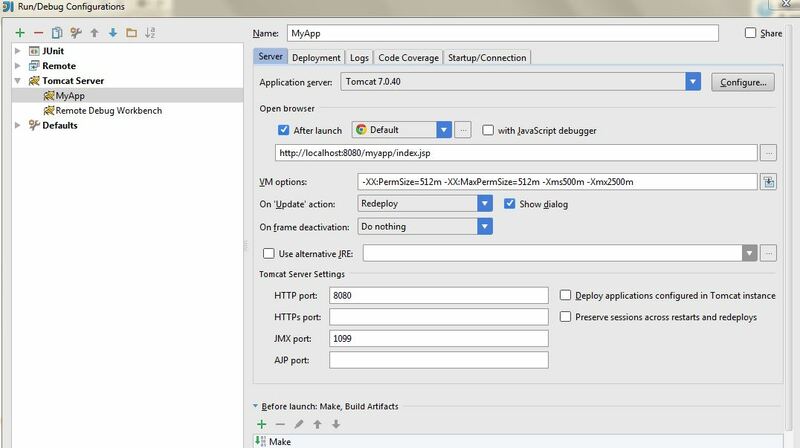 Note:- Most probably above solution will work, if it doesn't then you might need to change the application context to '\myApp' in deployment tab. Not the answer you're looking for? Browse other questions tagged java jsp tomcat servlets intellij-idea or ask your own question. How to change the URL pattern from /index.jsp to /test/index.jsp by configuring web.xml?